For several years now I keep exploring Davos’ dining scene and after having dined several times at Haenggi’s, I can claim that you cannot go wrong here when looking for a tasty, well-prepared meal without frills. When you feel most comfortable having such a dinner in unpretentious surroundings, than this is the ideal place for you! Restaurant Haenggi’s is located a bit away from the town’s center in an unassuming building. Its interiors are kept the same way, the design can best be called low-key. There is a lot of wood giving the eatery a bit of a mountain look. The restaurant is almost always very busy and rather caters for masses. Tourists and locals frequent Haenggi’s likewise, appreciating its relaxed ambiance. The menu is very varied, from expensive cuts of meat and Asian inspired dishes to local specialties and pizzas. And the most astonishing thing for me is that everything that comes out of the kitchen is of good quality, well done and a feast for the palate. This cannot be taken for granted because often you get mediocre food in eateries with such a large menu and output. Out of dishes already sampled at Haenggi’s here two mains. 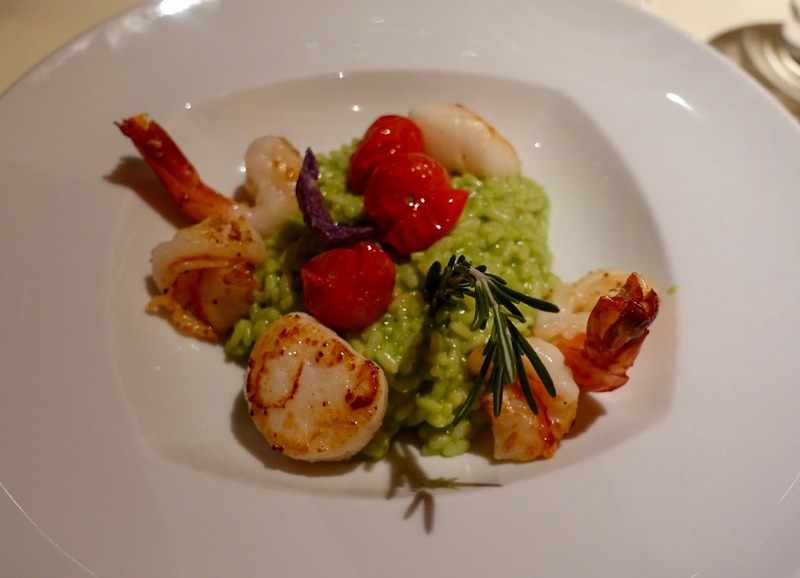 On the one hand, prawns and scallops on green risotto with herbs and fried cherry tomatoes. The seafood was immaculately prepared “to the bite” and tasty, the same is true for the risotto and the tomatoes – although not in season – were the ideal complement for this dish. 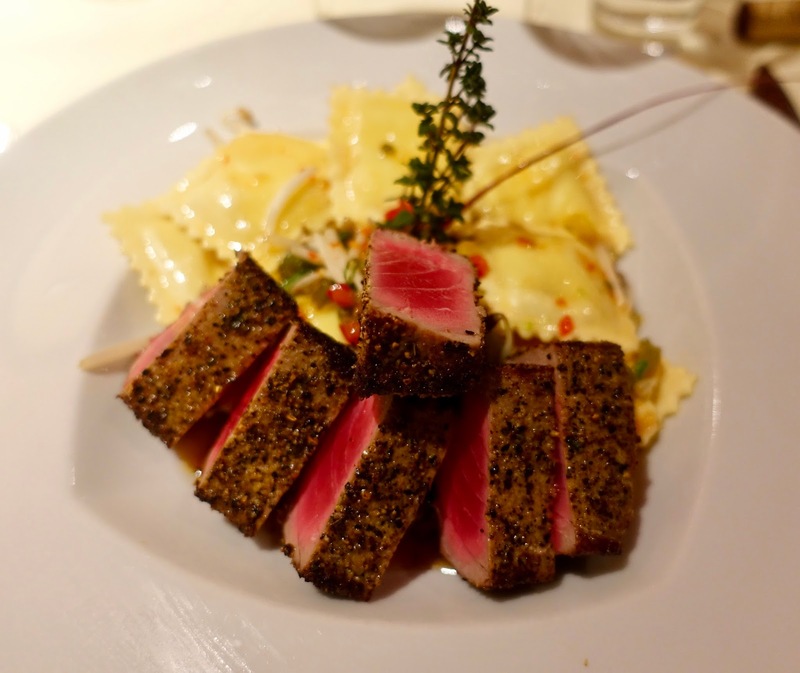 On the other hand, seared tuna on lemon raviolis Asian style. The tuna was absolutely delicious and was just perfect in terms of doneness. It came with wakame, cubes of red pepper, bean sprouts and sweet chilli. The raviolis were of a good quality, not the best ones I have ever tasted but fine enough. Despite the fact that the place is often packed to the last seat, service is excellent. The staff is friendly and prompt. 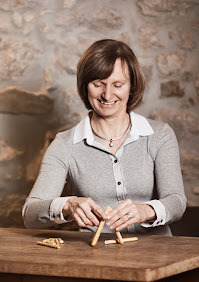 Margrit Haenggi, the owner, who manages the restaurant together with her husband (responsible for the kitchen) is always present and oversees the service team in a confident manner. Prices are pretty much on a par with other comparable restaurants in Davos. I think that food is priced reasonable for the quality you get. However, you must not assume that the eatery is inexpensive because pizzas are available, it is definitely not your usual pizza spot. Haenggi’s is a place you can rely on, consistently good food is served here in a relaxed atmosphere. The restaurant offers a bit for everybody from pizzas to sophisticated food and they know how to cater for every taste. The eatery has a lively buzz and is always full, seemingly by locals too. 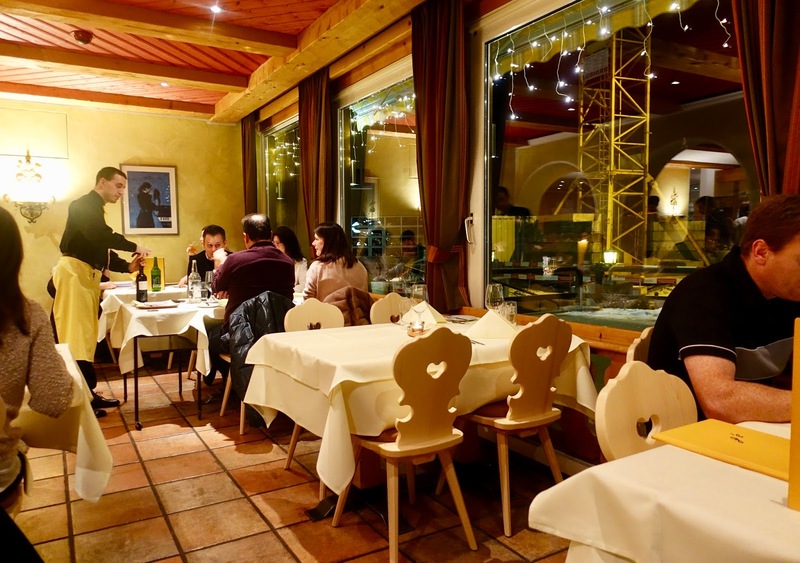 Are you interested in other restaurant recommendations for Davos? Have also a look at my list with 10 top tips!